We’ve all been advised to travel light, haven’t we? But now that’s passé. We’ll tell you why you need to travel ‘smart’. We all know nothing can make it rain harder on your parade than standing at a baggage conveyor, watching all the colourful luggage roll by until the last one, only to realise yours didn’t make it through. If you’d ask me, I’d surely need an ambulance. But, hail, technology! Looks like the advent of smart luggage will make life easy for those of my ilk. Irrespective of whether the claims made by luggage brands are mere gimmicks, it is now, more than ever, that one needs to invest in bags that you can track on an app; or one that weighs itself, so that you don’t have to unpack at a check-in counter. Now before you crash open your savings and head out to invest in one, we’ll tell you what you must look for in a smart luggage. You’d guess that smart luggage is about being able to lock and unlock your luggage remotely, track it when it’s lost, get notified when you move away from it and so much more. And to make these features a reality, all you need is a simple app. Most smart bags can be taken care of with the help of an app that connects to the bag. Once it's connected, rest assured that your bag is in your complete control. From locking it and tracking it to being notified when someone tries to tamper with it, it lets you in on everything about your luggage. Check it out. Now, the only thing that comes close to the nightmare of weighing oneself after a week of binging is checking in one’s luggage at the airport. But the smart luggage of today's designed to do away with that fear. One must invest in a bag that comes with a built-in digital scale that not only weighs the luggage but also tells you if it's permissible on the flight you’re about to board. For some bags, all you need to do is pull the handle and it will tell you if you’re good to go. Check it out. We’re living in the 24x7 era, which means connectivity plays a vital role in our lives. It is important that our phones and laptops stay juiced up for as long as we need them to be. Make sure you splurge on bags that come with in-built USB charging. From making sure your boss’s fury is in check with mails going in on time, to not missing out the perfect Instagram picture, these bags with chargers make sure your devices are all fired up and you ace life like a pro! Check it out. While we remain fascinated by remote locking and unlocking of bags, technology has challenged itself, with makers creating luggage that boast of biometric locks. With a limit set on the number of people that can set and use their fingerprint to lock and unlock the bags, these biometric models give a whole new meaning to security. Check it out. Nothing makes life easier than investing in a bag that comes with interior lighting. We all know what a struggle it can be to scavenge through one’s bag in areas that are dimly light; say, for instance, a dingy closet of a hotel room. 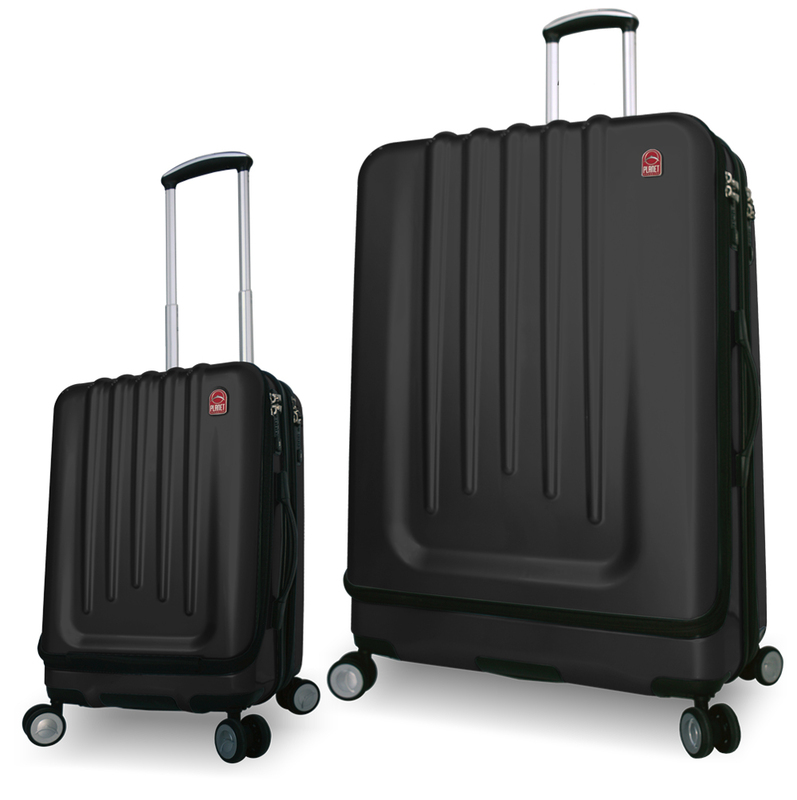 Some smart bags of today are designed to have inbuilt interior lights that light up the lives of globetrotters. Check it out.